If you currently manage a student housing portfolio then you probably notice that you have to go the extra mile to be the hottest property around, as most students are just hoping for a room with a bed. This means you might have to employ some more creative marketing tactics to max out your student housing. Here are a few unconventional ideas on how to fill your properties on and off campus this year. Some student housing property managers have taken to the road with a rather ingenious way to attract attention—a rent bus. If the student housing pool in your area is particularly competitive, standing out is an absolute must. That’s why Haven Campus Communities decided to take their marketing to the streets with an old food truck that they tricked out to be a mobile leasing station. Parking at sporting events or around campus, students are invited inside the bus to check out floor plans, photos, and even apply for an apartment on the spot. Talk about driving demand! When taking your business to the streets, mobility and cloud functionality is key—property management software can help you streamline these processes. If the property you are trying to fill has a shared pool, what better way to attract new renters than to throw a pool party? Spread the word across campus using flyers, an email blast, or social media. Invite local DJs or bands to play at your party. If your property has grills, use those to offer your prospects free food while they splash around. Throwing a huge party is a great way to show renters that your properties will keep the good times rolling…All they need to do is apply. If you want to draw a crowd, free food is always the way to go. No matter where you may be promoting your properties, if you bring food people will come. Consider hiring a food truck for the day and bringing it to a student housing event or local beer and wine festival. Hungry students (and prospective renters) will never refuse an application if it comes with free tacos! Students have a wide variety of interests. College students have the highest attendance rate of sporting events and music festivals than any other age group in the country—and where there are large gatherings of students, there is an opportunity to market! If you have a marketing team, get them to help you design cool paper collateral to hand out at festivals, concerts, or sports games; Millennials and younger generations think of quality creative work as a sign of professionalism, and a fresh poster or postcard design is one of the best ways to leave a positive impression in a student’s mind. Many events also need local sponsors to help bring their projects to life. Sponsor a local event and get permission to set up a booth where attendees can speak to you in person about your properties. To sweeten the pot, you can even provide a little free swag like a fanny pack or water bottle that displays your company brand while providing a service to your prospects. In college towns or large universities where student housing is competitive, most students know that they can be picky about where they want to live while also staying within their price range. You can make your properties more attractive on a financial level by providing creative yet practical incentives for your renters when they sign. As an example, Chicago is a diverse city filled with many different types of higher learning institutions; it is also very large and can be difficult and expensive to navigate. Divvy is a local a bike loan service that allows students to pick up a bike in one of their many locations and drop it off when they are finished. At only $75/ year per student, this could be a great signing incentive that would provide real value to students without breaking their bank or yours. While students need to get around, they also need places to go. Many large universities will offer season passes to sporting events to their students at a discount; try to strike the same deal for your property, then run a promotion offering free season passes to the first 100 students that sign a lease with you. Most students will reason that they were going to buy the tickets anyway, so they might as well get them for free. Remember, young renters are not always financially stable on their own, so a big piece of the marketing puzzle is about including their parents in the rental decision. Your marketing can be fun and adventurous so long as it also shows professionalism and makes fiscal sense to the real decision maker. Along the same lines, you may also want to consider accepting cosigners for your student housing portfolio. Not only is it financially safer for you and your renters, it helps create a sense of responsibility and ownership in young adults without forcing them to sign a lease completely on their own. Allowing cosigners will help you fill vacancies faster and assume less risk. These are just a few of many wacky ways to capture a college student’s attention, don’t be afraid to get a little more edgy when it comes to marketing to a younger crowd. Who knows? You might discover new ways to market to your larger portfolio in the process. 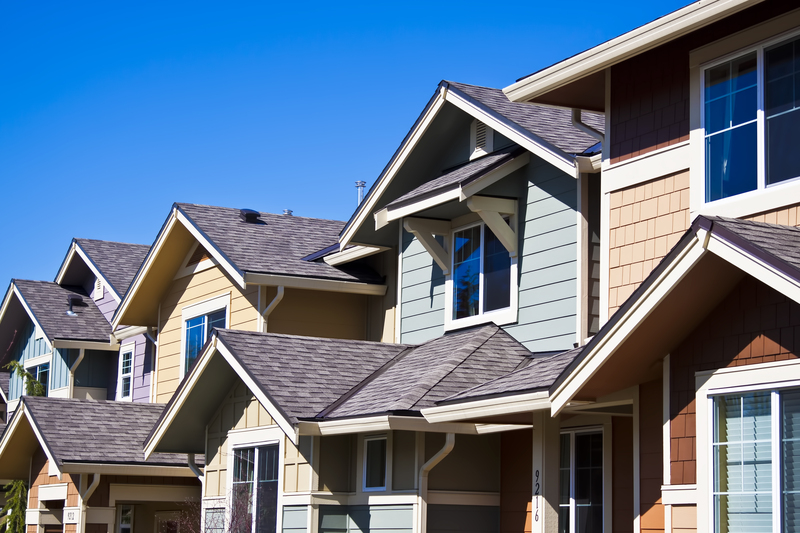 It’s easy to confuse a homeowners association (HOA) with property managers. They are both involved in the management of housing communities. It could be helpful to view a brief description of both HOAs and property managers to see how the functions of each are different. In most cases, they work together, but sometimes they may come into conflict. This information should be useful to property owners, property management companies, and tenants who live in a community that is governed by an HOA. Neighborhoods, subdivisions, and condo complexes contain lots of housing units that are owned by many different owners. At the same time, homeowners may need to share the responsibility for certain things. They may also share expectations for the way that their neighbors will maintain their properties. Thus, these communities form HOAs to develop and enforce the rules (known as covenants, conditions, and restrictions, or CC&Rs for short) that all property owners need to abide by. According to the Community Association Institute, over 63 million Americans reside in an estimated 320,000 association-governed communities. The individuals who belong to these organizations also own property in that community. While all HOA members may propose and vote on rules, an elected HOA board usually has the final responsibility for ensuring that rules get kept and other responsibilities get met. Obviously, the HOA doesn’t physically perform all of their responsibilities. For example, they may hire security people, secretaries, and maintenance crews. In some cases, overseeing all of the work requires a separate property manager to assist them. To help with all of the tasks involved, an HOA may also hire a property manager or property management company. What Do Property Managers Do in a Homeowners Association? There are two different situations when a community may have both property managers and homeowners associations. In the most commonly discussed case, the property management company works for the HOA. In another case, property owners may own some houses or condos in a community that also has owner-occupied units. In this second case, the property owners and their managers are just property owners with the same status as any other owners. If property owners occupy their own housing or lease it to tenants, they still have the same responsibilities to the HOA. Property managers as employees of the HOA: HOA members may volunteer for their positions as an investment in their community. As volunteers, they may not have time to oversee all of the day-to-day obligations of the board. In this case, an HOA might hire a property manager or property management company to assist them. The duties of property managers can vary, but they may include overseeing paid staff or contractors, communicating with residents, collecting dues, and handling emergencies. As employees of the HOA board, property managers report to them. Property managers as owners within the community: In this case, property managers simply have to abide by the same rules that any owners who occupy their homes do. This situation is somewhat more complex because tenants actually occupy the property. The owners and tenants may have to cooperate to stay in compliance. The property managers for leased housing units may make sure that HOA dues get paid if this cost is simply included in the rent. Still, they need to make certain their tenants don’t violate other rules. For example, there may be guidelines about maintaining lawns, how to handle garbage, behavior in common areas, and so on. It’s prudent to include a clause in the lease about adhering to HOA rules and to make sure that renters know the guidelines. Typical HOAs will issue warnings if rules get violated. However, they do have legal power to enforce their rules. For example, an HOA can put a lien on a property if HOA dues don’t get paid. If a lawn doesn’t get mowed after a warning, they might send their own landscapers and charge the property owner a high fee. If property managers work for the HOA or are simply managing properties in the community, the HOA will factor into management duties. The post Homeowners Associations vs. Property Management – What’s the Difference? appeared first on The Official AppFolio Blog. How Do Renters in NYC & SF Feel about the Rental Market? New York City and San Francisco – two of the most economically thriving cities in the U.S. and two of the top places to live. But how do renters in these cities feel about the “sometimes stressful” rental process? With the rental market competition at an all-time high, and rent prices through the roof, renters have a lot to consider when deciding whether to stay in their current place or find a new abode. AppFolio recently conducted a bi-coastal survey in NYC and SF to gain deeper insight into what renters in these top metros want and need. Ultimately, renters not only have requirements for their physical apartments, but also for their property managers – think digital! With extremely high rent prices in both NYC and SF, it may come as a surprise that the majority of renters in NYC (51.9%) said they’d be willing to pay between one and five percent more to stay in their current apartment. Of note, 7.1% of renters in NYC over the age of 65 were most likely to be willing to pay more than 11 percent to stay in their current apartment. That’s right – 11 percent! With the rental market going gray, this is something property managers with older tenants should keep top of mind. In SF, almost half of renters (42.8%) said they’d be willing to pay between one and five percent more to stay in their current apartment, with 13.8% willing to pay between six and ten percent more. When broken down by household income, a little over half of respondents (58.5%) making less than $25,000 said they’d pay between one and five percent more, and almost half (41.2%) making between $100,000-$149,999 said they’d be willing to pay between six and ten percent more. When asked what makes an increase in rent acceptable, both renters NYC (30.2%) and SF (26.4%) listed better maintenance and upkeep as the top reason. Specifically for the younger generation of renters in NYC, this is important. Almost half of respondents between the ages of 18 and 24 (47.6%) said they think better maintenance and upkeep is the most acceptable reason for a rent increase. This is closely followed by new amenities (29.8%), which includes keyless entry, video doorbell, etc. While maintenance ranks number one for SF renters, the survey also found that one in five males (20.6%) said keeping pace with rental market prices was the most acceptable reason for rent to increase in their city. This compares to just one in ten women (10.3%) who felt the same. Although renters in both NYC and SF said maintenance and upkeep is the most acceptable reason for an increase in rent, both groups also said it is the top reason to look for a new apartment. Almost half of renters in NYC (40.6%) would consider moving if their rent increased, while even more renters in SF (48.5%) would do the same. This is especially true for younger renters – over half of respondents between the ages of 19 and 24 in both cities would consider moving if their current rent price increased. Moral of the story: it’s all about balance. While increasing rent is a main reason for tenants to jump ship, they would be ok with it should the heightened price tag come with better maintenance and amenities. When searching for a new apartment, the majority of respondents in NYC (42.3%) typically view between three and six locations before making a decision, whereas a majority of respondents in SF (37.8%) typically view between one and three. What’s the worst part of the rental process for these renters? Almost one in three renters in NYC (31.4%) said broker fees, while one in three renters in SF said low-quality landlords. Lastly, it didn’t come as a surprise to us that renters in both cities expect communication online/via text from their property managers during the rental process – almost half of respondents in SF (44.8%) and 37.6% in NYC. This is especially true for young, tech-savvy renters. Nearly half of renters in NYC between the ages of 18 and 24 (46.5%) said they expect communicating online or via text from a property manager, and the majority of renters in SF in the same age group (52.1%) agreed. Makes sense since today’s millennials are glued to their mobile devices! So what can property managers do to please their tenants in NYC & SF? If you’re a property manager looking to retain current tenants in NYC and SF, keep in mind it’s ok to increase rent, as long as you ramp up your maintenance and property upkeep, and incorporate new, unique amenities. You may also want to consider adapting to this tech-savvy generation and using software that allows you to communicate online and via text with your tenants. 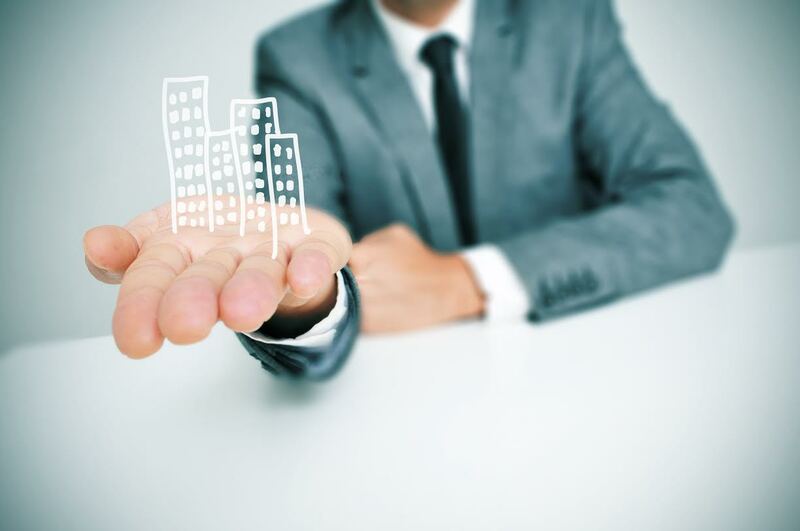 Luckily, tasks are completed online seamlessly with AppFolio’s Property Management software! It’s simple: in order to grow, you need more property owners. While there are some owners who think they can double as a landlord on their own, there are those who can’t and need help—they just don’t know how to select the right property manager. Let’s explore 10 unique hacks guaranteed to expand your portfolio by attracting more property owners to your management company. It takes time to find new owners; so make them come to you. It’s always important to know what similar properties in your area are renting for so you can stay competitive and successful. With these insights you’ll have the confidence to adjust rental prices to maximize your revenue and fill vacancies faster. Why is content important? For so many reasons! Content comes in so many shapes and sizes: blog posts, videos, case studies, your website. All of this content combined is hugely important because roughly 70% of searches on Google are long tail. Using long tail keywords in your URLs, content, page titles, and meta descriptions is a popular marketing technique and a way to build authority and an audience. You can use Google’s free Keyword Planner to find keywords that are relevant to your audience and get insight into what people are searching for. Incorporating these words and phrases into your content can be extremely valuable to your appearance in search engines. 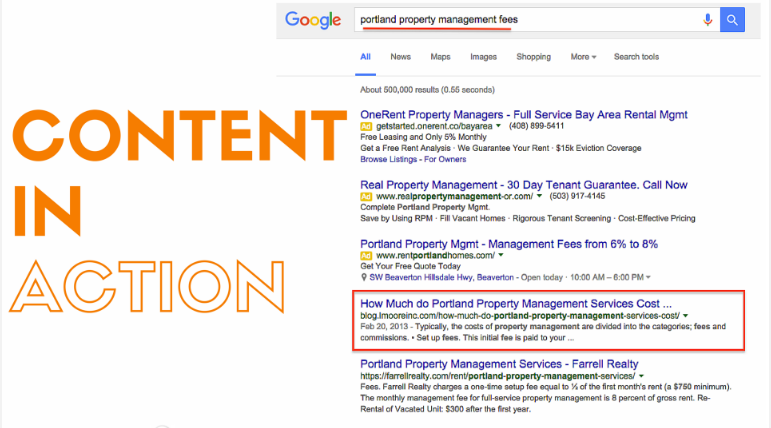 For example, property owners looking for new property managers might search “Best Property Manager in [input city here]”— so make sure you have content that answers that question on your website. Otherwise, you’ll lose out to the property manager that does. What do these stats mean? That you need to bring value to prospective leads. You can do this through producing high-quality and useful content in the form of customer videos, property walk-throughs, testimonials and reviews from happy renters, and more. Prove to your prospective owners why you’re a good investment and someone people like to work with. Online brand reputation and reviews are very important to your growth and success as a property manager. A whopping 92% of customers read online reviews before making purchases. In fact, you can experience a 5-9% boost in revenue by increasing your overall Yelp Rating by just one star. But how can you improve your online reputation when there is such a negative vibe around online review sites? Ask for positive recommendations from your current residents who love your properties! The good reviews will stand out over the bad in the long run. If you need more help building up your positive online reputation and responding to any negative commenters who are making your life difficult, check out our post: Hug Your Haters. One of the more controversial hacks in the list, Pay Per Lead (PPL) either works very well for your company, or doesn’t work at all. PPL refers to buying new unit leads from sites that sell these leads individually. The success of a Pay Per Lead campaign depends on your current marketing budget, ability to scale growth, and the number and quality of leasing agents you might have. PPL is more successful if you are willing to spend the money to wade through potential duds, but on average has a better conversion rate than most other marketing tactics. A much less risky alternative than Pay Per Lead and a more widely applicable method for attracting new owners, Pay Per Click refers to paying for a top spot on page 1 of all Google searches related to your company in your area. Paying per click also means that you don’t pay a dime unless your site is visited from that link, guaranteeing that the person searching for you has an interest in your company. Dollar for dollar, this is also a cheaper alternative to buying portfolios from other PMs in your area—acquisition costs are usually about $1,200 a unit, where average Pay Per Click costs average $350 per unit. Why is this important? One of the most successful ways to grow your business as a property manager is to build your network. People are afraid to pick up the phone these days, but don’t be. It’s valuable and there are ways to prepare for those phone calls. Have a script in place so you can practice it and get comfortable saying it—without it sounding like a script. Also, have a structured process in place for researching who you are going to reach out to, when you’ll reach out, and any follow up with them later. It’s important that you get to know the fellow owners in your area. Become a pillar in your community. The more people you know, the more relationships you can build. It’s all about networking! YouTube is the 2nd most used search engine in the world. People love videos! Create short, digestible and fun videos that show off your properties (the atmosphere, style, services and amenities). Make people interested in working with you, e.g. be personable and welcoming. Check some examples of what other successful property managers in your area are doing on YouTube for inspiration. As a property manager you need to optimize on what’s working for you. First, track the source of all your leads so you actually know what’s working (don’t guess!). If one of these strategies is more successful than the others, put your energy (and marketing dollars) into that particular strategy to make it work even better for you. Ask yourself, how many properties am I looking to add to my portfolio in one year? Two years? In five years? Where do you see yourself? Are you managing residential, or commercial, or student housing, or HOA properties? A mix of all of the above? Set a goal for yourself and devise a plan to get there. 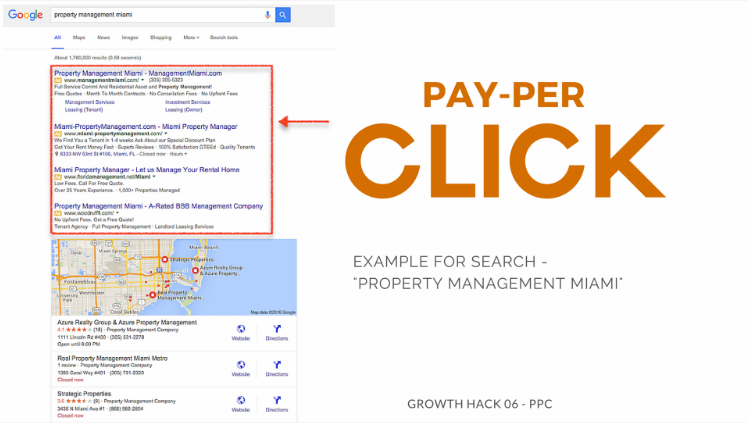 The post 10 Growth Hacks for a More Profitable Property Management Business appeared first on The Official AppFolio Blog. Summer is almost here; and it’s a popular time for renters to move in and out of apartments. If you’re busy welcoming new renters, performing move-out inspections in vacant units, and trying to get apartments rented property maintenance can fall by the wayside until things calm down. Yet your renters deserve clean and well-groomed common areas. Make sure your apartments look their best all summer long by adding these summer season maintenance tasks to your to-do list. Focus your energy on keeping your property exterior looking great in summer, when outdoor areas will see increased usage. Put outdoor lighting in place: Long summer nights entice renters to stay outdoors in common areas. To help them get back inside safely, make sure that you have outdoor lighting illuminating pathways and doorways. Solar lighting is an energy-efficient, modern option that requires little maintenance once installed. Trim grass: For comfort and protection from pests, keep grass trimmed regularly. Set a reminder in your calendar so you remember to mow the lawn every two weeks (or on the schedule of your choice), or contract out to a landscaping company if you prefer not to do this yourself. Perform a garden/common areas landscaping cleanup: Late spring and early summer is a perfect time to trim back plants, trees, and shrubs. Don’t forget to weed paths and walkways, where little plants can spring up in cracks and make your property look shoddy. Mulch garden beds: Flowers, trees, and shrubs get thirsty during summer heat. Adding 2-3 inches of mulch to garden beds helps the soil retain water for longer. Plants will look better during long, hot summer days; you will also conserve water usage and reduce utility costs through this eco-friendly landscaping tip. Wash and repair deck and patio spaces: Outdoor common spaces like decks and patios will see heavy use in summer. Check all of these common spaces now, and make any repairs that are necessary (such as repainting or replacing a loose deck board). Then clean all common areas to remove dust, dirt, and grime. To help keep these areas tidy and reduce the amount you’ll need to clean up after renters, install trash cans on decks and patios. Clean window wells and gutters: To ensure that rain can flow freely, clean out window wells and gutters seasonally, including as part of summer landscaping. Remove leaves, dirt, waste, and debris. Tackle these tasks to keep interior common areas pleasant in summer. Have air conditioners serviced: Whether you have window air conditioners in common areas or enjoy central air conditioning, summertime will place a big demand on your AC. Be prepared by having your air conditioning serviced by a reputable HVAC company. This way, you can make repairs or replacements so your units will work properly when it matters most. Address gaps in windows, doors, and walls: Summer is prime pest season. These critters get inside through holes in windows, screens, doors, and walls. Get ahead of the pests by sealing cracks in windows and doors using caulk or expandable foam. If you notice that screens have rips, repair them to minimize your work mitigating pest problems later on. Test smoke and CO2 alarms: Test unit smoke and CO2 alarms several times a year. By adding this to your seasonal property maintenance list, you can help keep residents safe. Have interior carpets and furniture cleaned: After wet, muddy spring weather passes, treat interior carpets to a deep cleaning. Hallways will look brighter when carpets are cleaned. Many residents will breathe easier when mold, dust, pollen, and other allergens are removed from common area carpets. At the same time, clean interior furniture. Regular cleaning of furniture can forestall furniture replacement and keep your apartment looking its best. When you are able to keep up with summer maintenance, fall clean up won’t be as time-consuming and you’ll feel less stressed as a result. Property Managers, what other tips do you have for keeping your properties well-groomed all summer long? The post Summer Season Property Maintenance To-Do List appeared first on The Official AppFolio Blog. Getting renters into your vacant properties and keeping those vacancies to a minimum is the goal of all property management companies. Unfortunately, some companies get so focused on filling vacancies that they end up falling victim to dishonest tenants. It’s tempting to rent to the first applicant that shows interest. But when companies don’t take the time to do a thorough background check of the applicant before handing them the keys, you can end up with less than a fairy tale renter. One of the first things any property manager should do is run a credit check on applicants who want to rent a property. Make sure you let your applicants know, in writing, that you will be checking their credit. Have them sign the paper that gives them that information, along with any other checks you will run, or have the right to run, as part of making an application decision. You can legally charge a fee for this, and some management companies charge more than others. If you decide that a fee is necessary, make it strong but reasonable. Running credit can be an excellent indicator of whether someone will be a good tenant, so be sure to look for any judgments or evictions on their report. There’s nothing at all wrong with checking the employment status of someone who is applying to rent from you. You want to make sure they really do work, and that they are employed with the company they state they work for. If they’ve recently lost their job or just changed jobs, they may not want to say that, but lying on their rental application is never a good thing. Make sure you verify employment and dates, along with salary if possible, so you can feel more comfortable with the applicant and screen out more bad or potentially bad tenants who may be dishonest about their ability to pay. While your property management company is checking a potential tenant’s credit and employment, don’t forget that references matter, as well. The landlord your renter had before can be a great source of information about whether renting to that person will be a good idea. Keep in mind, though, that some landlords will give a good reference for a tenant who wants to move, just to get rid of them. Don’t believe everything you hear, and check more than one reference if possible, so you can feel good about the honesty and quality of the renters you sign a lease with. What if They Haven’t Rented Before? You can’t get landlord references if someone hasn’t rented before, but you can find out about their previous housing situation. If they owned their home, sold it, moved to your area, and want to rent, you can check their credit report for foreclosures or short sales. If they’re very young and have never lived away from home, you can require a co-signer. There are many ways to determine whether a tenant will likely be honest, so you don’t get scammed by an applicant you trusted when you really shouldn’t have. Lack of a rental history isn’t bad, as long as other areas check out without a problem. Having an air tight lease that was written (or at least reviewed and approved) by an attorney is a great way to make sure you don’t get scammed by dishonest tenants, too. You want to make sure you can evict a tenant that’s causing a problem, or that you can take other action against a tenant who may be slow to pay rent or who may be creating other issues. Without a clear lease that doesn’t have loopholes, you could end up with a problem tenant for a lot longer than you would hope for. Good leases mean dishonest tenants are reluctant to sign, and that you have the upper hand if you do need to enforce something in the lease. 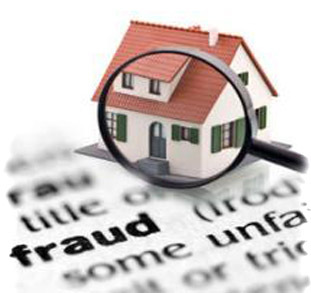 The post A Sort of Fairy Tale – Don’t Get Scammed by Dishonest Renters appeared first on The Official AppFolio Blog. So you’ve made the step to offer your residents online rent payment options. You’re ahead of the competition down the street still trying to organize their spreadsheets and deposit checks on-time! But convincing your residents to use online rent payments can be a trickier feat. Millennial renters will get it instantly; many have never even seen a checkbook before. 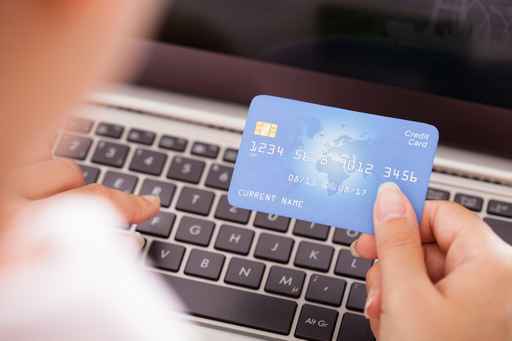 But some renters are averse to using their debit cards online, afraid to submit personal information through the Internet. When people discover the ease and flexibility of paying their rent online, everyone (property managers and residents) will be much happier. How do you get your renters to sign up for online rent payments? First, explain to them the benefits of online rent payments—you can securely pay rent from anywhere with your mobile device; no late fees when checks go missing; you always know the status of your payments. Depending on your budget and if it would be of interest to your residents, you could give away something fun like an iPod shuffle ($49) or a Google Chromecast ($35). If you run one raffle and don’t see a lot of success, try a different prize the next time around until you find the winning incentive. Tell your renters in person! You might want to consider marketing heavily a week before rent is due. This adds urgency and with the first of the month coming fast, it’ll be fresh in their minds. Step #3 – Announce the Winners! Often, people hold a contest and only let the winner know when they’ve won. In this case, you’ll probably receive a number of phone calls and emails asking “who won?” So don’t forget to announce the winner publicly so everyone knows. Congratulate the winner in your newsletter, and try to get a quote on how much they love using the online rent payment option. You can use this in your next contest. The social proof will help drive new residents to begin participating and keep the excitement level high. With these tips hopefully you can motivate most of your residents to pay rent online and start enjoying all the extra time you will have during rent week. The post 3 Steps to Get More of Your Residents Paying Rent Online appeared first on The Official AppFolio Blog. What’s the one word that keeps every landlord awake at night? Vacancy. The whole process can be emotional, tedious, tiring, and downright infuriating at times. Until today. In this post I’m going to share seven online strategies our property management company uses to maintain average occupancy rates above 98% across 400 rental properties in east Idaho. Whether you’re a landlord managing a single residential property or a company with a large investment portfolio, this list of marketing tactics will help you build a strong online presence, attract quality tenants, and fill your rentals fast. 80% of renters start their search online. In the absence of local search listings, you’ll notice the majority of the first page positions are occupied by major brands like Zillow, Hotpads and Homes.com. Each website attracts millions of visitors each month; and most of these people are either looking for a place to rent or buy. Think of it as a large pool of warm traffic. Create a free listing and gain immediate visibility for your property. Here is a list of the top sites to list your rental units. Go to each site and create a free profile. Upload some photos and fill out all the details. In a matter of minutes your property will be searchable by hundreds, maybe thousands of people looking for rentals in your area. If this sounds like a lot of work, software like AppFolio can feed your listings to these sites in a single click. An email list is one of the most valuable assets of any online business. On average, 1-2% of the people that land on your site fill out a rental application, schedule a walk-through or complete some other type of online conversion. Let me re-phrase that: 98% of the people visiting your website leave without doing one of these important things. Let that sink in nice and deep. 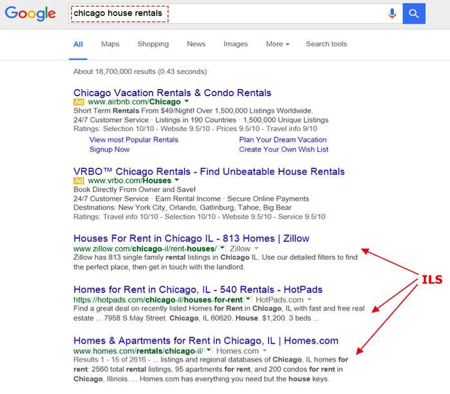 Now let me ask: What are you doing to re-engage all that warm traffic, the people actively searching for a rental? They aren’t ready to apply for a new property yet. They didn’t find a property they liked. You can’t let these people slip away without first trying to collect their contact information so you can re-engage with them at a later date. The best way to do this? Build an email list. As people scroll down to the bottom of the page a form slides in from the side asking people if they want to be updated each month about new rental listings. But, what if they aren’t looking for a place to rent when you send the email? Give subscribers an opportunity to share the property on social media or forward it to a friend. At the very least, you’ll have ongoing communication with the subscriber, and as their lease draws to a close you’ll be top of mind when it comes to finding a new place to rent. Search engine optimization (SEO) helps a website to rank in the search engines (Google, Bing etc.) for target keywords. Why is this important? 1. More than 80% of renters start their search online. Think about it. 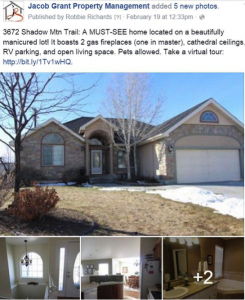 When someone goes to Google and types in “Idaho Falls house rentals” you know that person is actively searching for a new place to rent in that specific geographic location. Organic traffic now brings in over 4,800 visits a month to our website. That’s a LOT of qualified traffic. Note: Idaho Falls only has 50,000 people. Craigslist technically falls under the ILS category. But, due to the fact that the site is often one of the first places a person goes to search for a place to live, I thought it deserved it’s own spot on the list. The site is free, integrates with other major ILS sites, and provides simple location-based search functionality that increases the odds you will be reach targeted prospective tenants. A couple years ago the site removed the ability to create enhanced listings, which made it more difficult to drive traffic and leads from the site. What changed? Craigslist stopped supporting HTML tags that were once used to style listing pages and create a rich media experience for the user. Live links were disabled which meant users had to manually copy the link and paste it into the browser search bar. This significantly reduced referral traffic from the site, and skewed analytics data. For example, in 2013 Craigslist accounted for 92% of our site’s “referral” traffic. Fast forward to 2015, and the platform is attributed with only 0.62% of total referral traffic. To clarify, this is not a direct indication of the drop off in traffic actually coming from the platform, but since people need to copy and paste the URL from the listing ad into their browser the traffic is now attributed to a “Direct” referral in Google Analytics. We talk more about these changes and how property owners can still leverage Craigslist to capture qualified leads over at jacobgrant.com. Facebook has over 1 billion users. Due to the amount of information collected from users, the site offers a very robust and targeted ad platform. There are a million and one different ways you can leverage the platform to market rental properties, but here are a couple ways to get you started. When the post is live, click the “Boost Post” button. Next, set your targeting. Make sure at a minimum you are targeting by location. Then set your budget. This does not need to break the bank. For example, we usually run ads over the weekend for $10-15 that generate 200+ referral visits. That’s a cost-per-click of less than $0.05. People rarely convert the first time they visit your site or see an offer. In fact, it usually takes an average of seven touch points before a consumer will convert. Rentals aren’t that different. A prospective tenant will likely visit your website, check out all the rental properties and leave to “shop” around for a better property based on price, location, amenities, or a number of other factors. Your job is to stay in front of these people and bring them back to your site to convert. The best way to do this is retargeting. In this case, we’re referring to showing ads to people who have already visited a particular page on your website. To create a targeted audience based on website visitors, you must have a Facebook website custom audience in place. When someone visits a page with custom audience code on it, they are added to an audience list in the Facebook Ads Manager. This list continues to build over time. You can then use the list as a target audience in ad campaigns. After someone visits our listing page AND doesn’t convert we remarket to them on Facebook by showing new listings over the next 1-2 weeks. The results? Last month we spent just $40 on Facebook ads. The link in one of the ads was clicked over 200 times. We use bit.ly to shorten Google tracking URLs and monitor link clicks. And, the ads generated 8 online rental applications. Each application has a $25 value. This social media marketing strategy is very simply, and easily scalable. Give it a try. 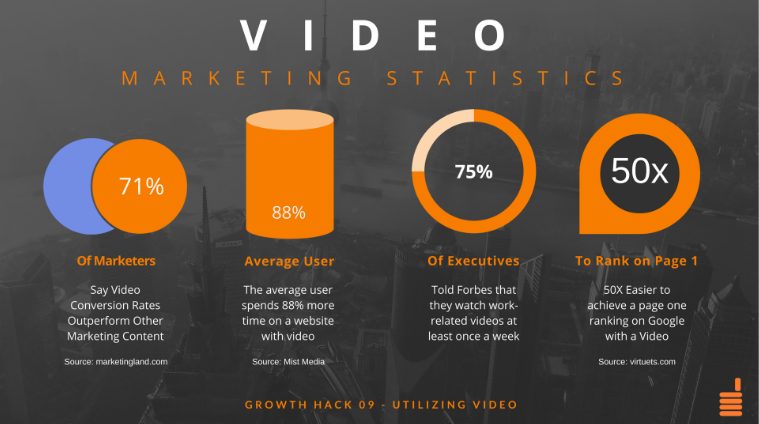 If a picture is worth a thousands words, a video is worth a million. Choosing a place to live is a big decision. Make it as easy as possible for prospective tenants to evaluate the rental property. One of the best ways to do this is to offer a virtual tour of the property. Prospective renters are able more easily picture themselves living in the property if someone else is walking them through it. This does not have to be an expensive or super time-consuming process. In fact, it can be done on a smartphone. Simply create a free YouTube channel, film a walk-through of the property, upload the video and embed it on the list page. Bonus: Some people find your property while surfing YouTube. Use YouTube cards to channel traffic to your website. They allow you to add a call-to-action in video overlays. You can also promote the walk-throughs on Facebook and other social media channels. Getting qualified traffic to your website is only half the battle. What really matters is that you are converting those visitors once they land on your site. For a landlord or property management company this usually means getting people to fill out some type of online rental application. In order for a prospective tenant to fill out a form they often need to have a great user experience. What does this mean? In a nutshell, the user is able to easily find all the information they need to make a decision. Easy navigation — If you have multiple properties, make it easy for users to search and filter properties. Pictures— Make sure the user can view high-quality photos of each room in the home. Details— Make a list of all the property details past renters have asked for, and include them in the description. Most renters will want information about pricing, deposits, application fees, square footage, utilities and pet policy. 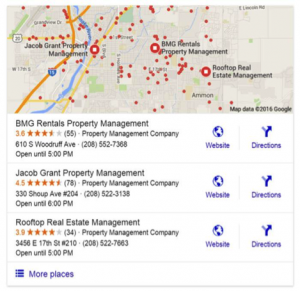 Always include a map of property locations, and a virtual tour video (if possible). 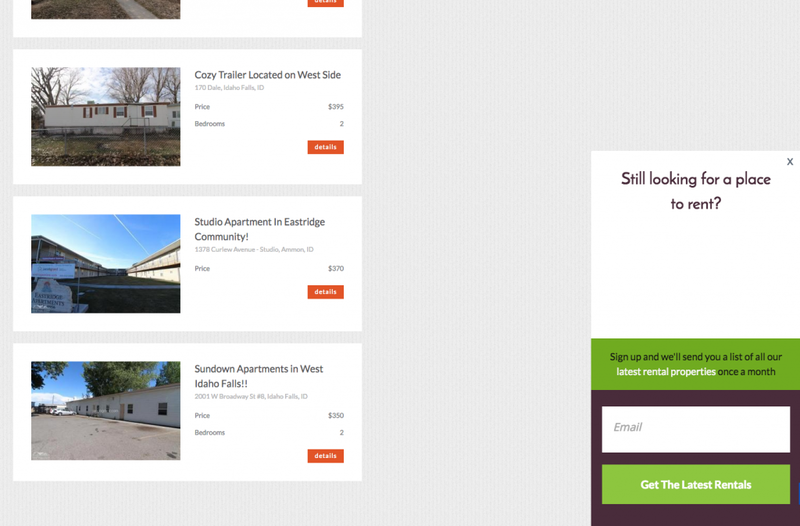 Call-to-Action — Allow users to apply or schedule a walk-through of the property online. Mobile-friendly — Take a look at your analytics and you’ll likely see that around 50% of your traffic is coming from a mobile or tablet device. Google even gives preference to sites that are mobile-optimized. So, if you want to improve your chances of ranking in local search results, and increase conversions, make sure your website is mobile-friendly. There you have it, seven ways any property management company can generate more online traffic and renter leads. What other strategies are you using to fill your rental properties? Let us know in the comments below. Robbie Richards is a member of the marketing team at Jacob Grant Property Management. The company manages over 400 rental properties across east Idaho. Learn the strategy they use to maintain average occupancy rates above 98% year-round here. 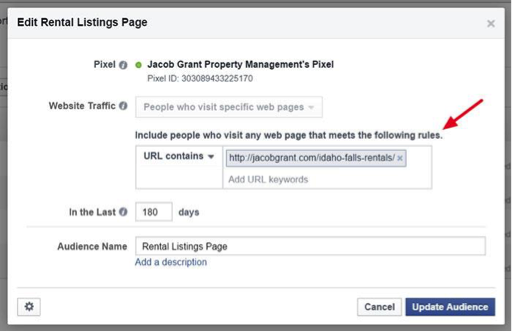 The post 7 Ways to Market Rental Properties Online in 2016 appeared first on The Official AppFolio Blog. It’s always smart to prepare for changes in the real estate market, but busy property managers may find that keeping up with the demands of their rental units leaves them with little time to follow industry trends. Take a few minutes to check in with regional and national forecasts for 2016 to make the right decisions and keep your property full all year long. 2015 was a good year for real estate, and 2016 is poised to be another. Expect to see vacancy rates dip even lower nationwide, with rents remaining strong. This is good news for property managers in much of the U.S. and tough news for renters. Tenants looking for a good deal will have a difficult time. Compared to 2008, when there was a supply of vacant new construction apartments in need of filling, there are far fewer vacancies to drive rent prices down. While vacancy rates are low nationwide, some cities may have higher vacancy rates at present. New York City, for example, is seeing an increase in new construction that is driving the city’s vacancy rate up. To stay competitive amidst the wider stock of open units, landlords in the five boroughs area will need to put the brakes on rent increases. If this trend spills over into other metro markets, it could cool the rental market nationwide. Low oil prices can also have a negative effect on some markets, namely Houston. As oil prices remains stagnant and drilling is on hold in oil-rich states, many who worked in the industry face job cuts that threaten their livelihood. Property managers in affected metro markets may need to keep rents stable or be extra attentive to renters to keep units occupied despite the sector slump. Along with Millennials, who are committed to renting either by personal preference or an inability to quality for a mortgage of their own, expect Boomers to sell off the suburban empty nest and seek to move closer to the city for the full live/work/play experience. While the suburbs do have a higher vacancy rate, reduced rental unit supply in urban areas along with high costs of rent will help drive some renters out to the suburbs. Look for renewed interest in suburban homes among renters who want more value for their dollar. If you manage units in the city as well as in the suburbs just outside, this renewed interest in the suburbs is good news. Expect these rental patterns to hold through 2016. Savvy property managers can add value to their rental units and incentivize tenants to continue to pay premium rents by creating an attractive and elegant common area that creates community in the apartment complex. Busy property managers who are still doing things by hand should consider 2016 the year to invest in effective property management software. Such software can help property managers save time, stay on top of vacancies, easily advertise units, quickly screen tenants, and handle tenant applications. Since low vacancies mean that maximum profit is gleaned from every rental unit, 2016 is a good year to invest in infrastructure and maintenance. If property owners have been putting off needed repairs to common areas, or you know that the building’s HVAC systems are old and inefficient, suggest spending money modernizing the apartment. These improvements are easily offset by the income from rental units, and help to make the apartment or condo complex more attractive in down cycles as well. Owner-managers who seek additional real estate holdings should invest in multifamily units, which offer a greater return on investment than single family homes. In the second half of 2015, demand for multifamily units was strong and Freddie Mac forecasts that this demand will remain strong into the foreseeable future. We always want you to stay up on the trends, so don’t miss our upcoming webinar (3/24) with Axiometrics. Register Today. What other regional or national trends are you watching for 2016? Let us know in the comments! The post A Quick Check Up on the 2016 Property Management Industry appeared first on The Official AppFolio Blog.